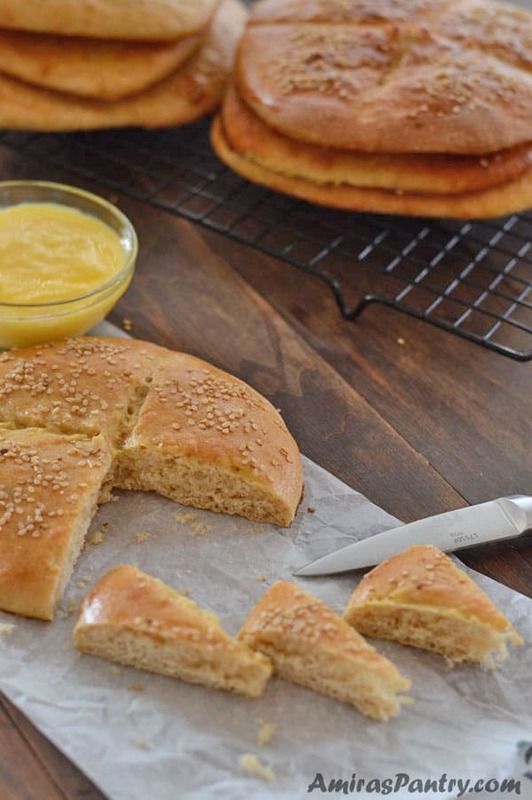 Give your dinner table a fancy look with this easy Moroccan bread recipe. A shiny crust, sprinkled with nutty sesame seeds and underneath is a chewy, spongy center. 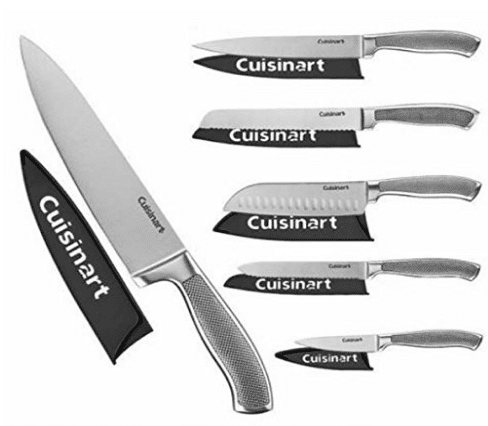 Perfect with any soup, or to soak up sauce. 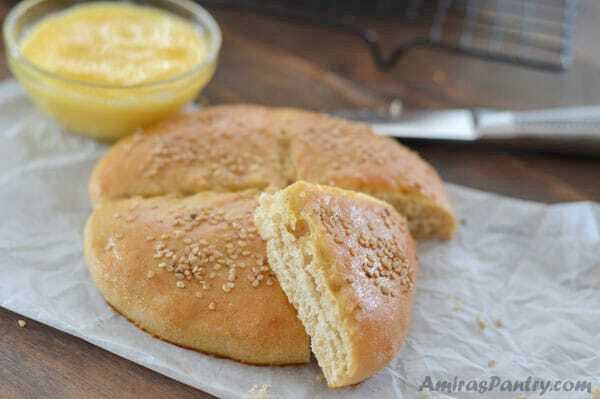 khubz or khobez is the bread in Arabic language. 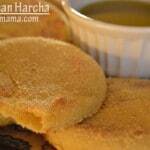 This traditional Moroccan Bread is sometimes called Khobz Kesra or Khobz Eddar. 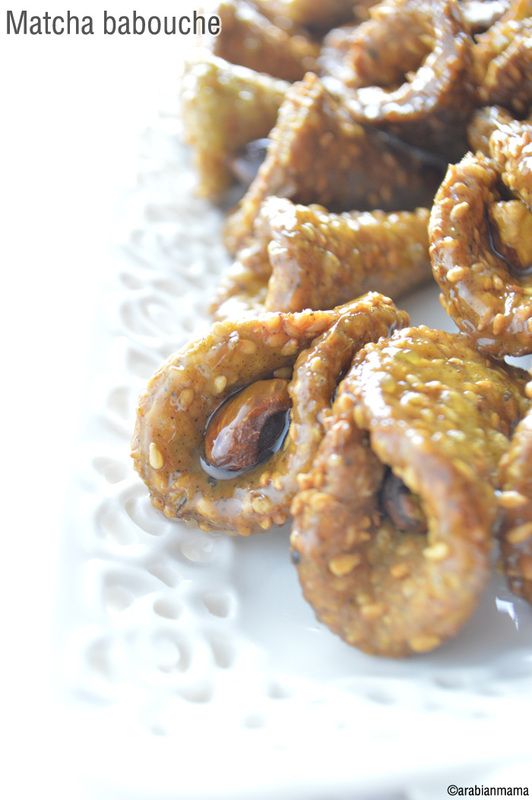 It has been a while since I made khobz for the blog. 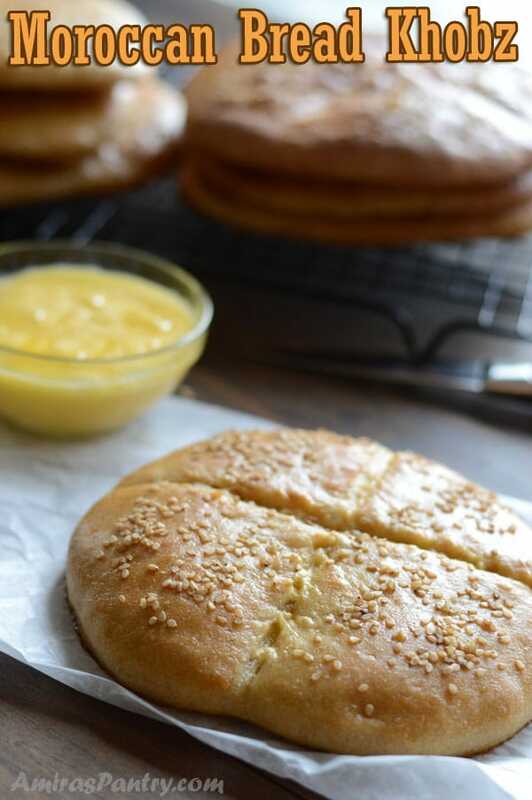 Khobz Ksra is a classic Moroccan bread that is very versatile as it can be made with corn, barley, farina or wheat flour. 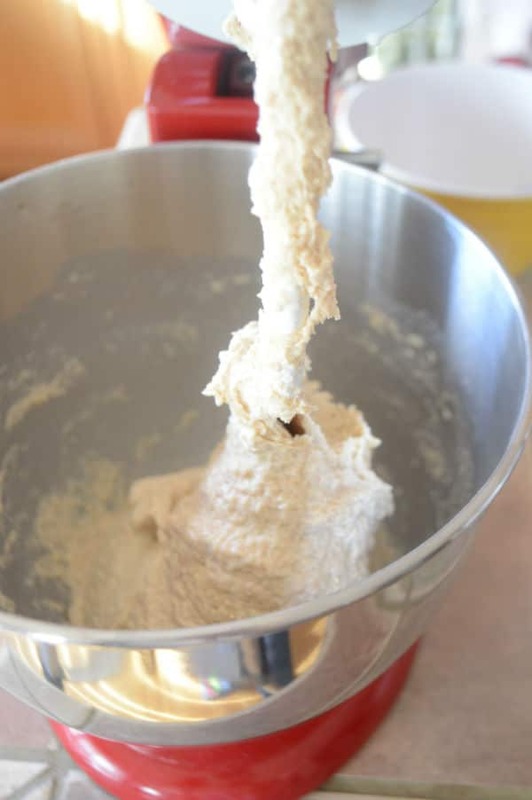 In this recipe I am using a combination of whole wheat, farina and AP flour. So let’s see how you can make it. We’ll need to combine your flours, yeast, salt and sugar. Then follow with the oil and milk. 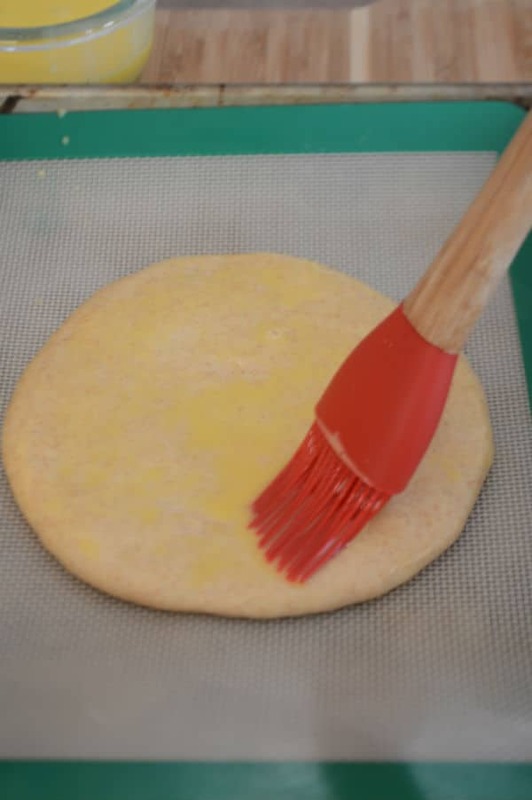 Gradually add water until you get a fairly sticky dough, as the picture shown above. 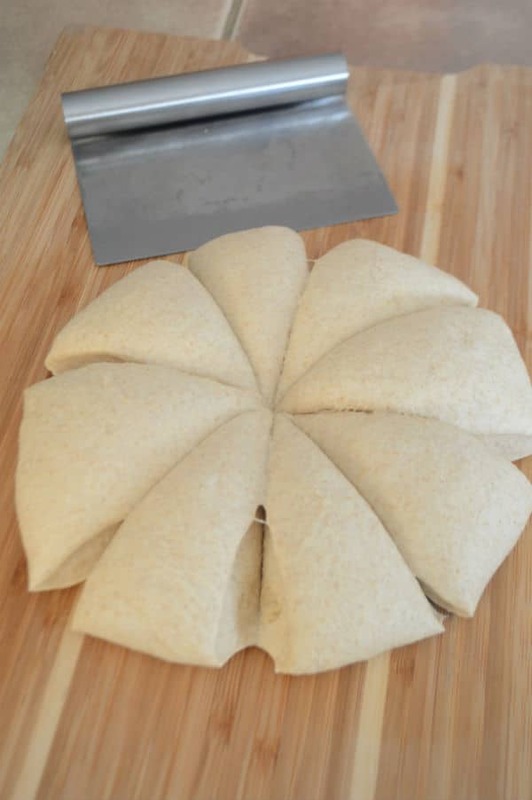 Let the dough rise and double in size then cut into 8 equal parts. Roll each part into a ball then flatten with your hand to form a circle. Brush each circle with egg wash. 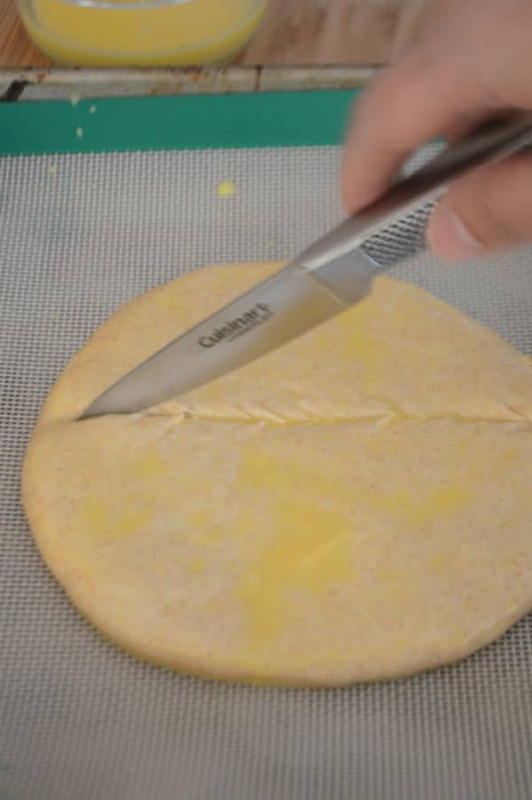 Using a lame or a sharp knife start scoring the bread top then sprinkle with sesame seeds. 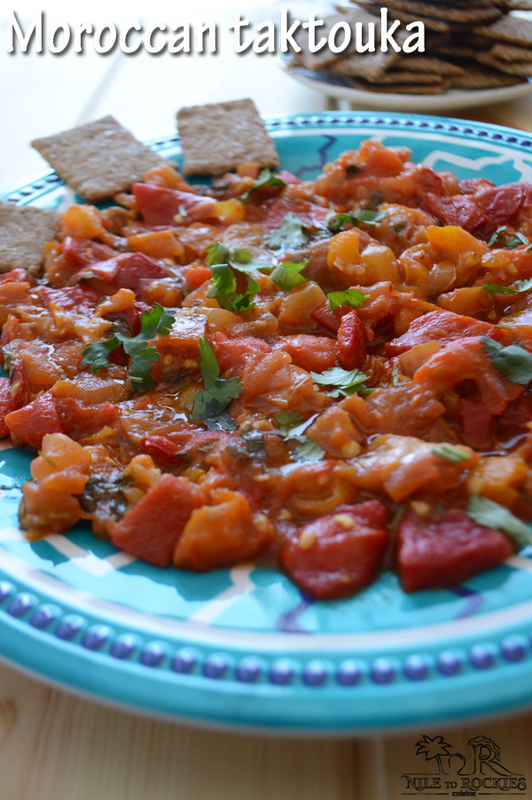 This Khobz is a most staple in Moroccan cuisine. It is simple, easy to make and very versatile. Sometimes people like adding different seeds or spices to the dough like anise, fennel cumin or black seeds. Sometimes people roll the bread over farina, oats, barley or just white flour. 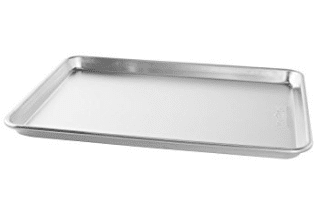 I’ve chosen to bake it the simplest way and you go from there. 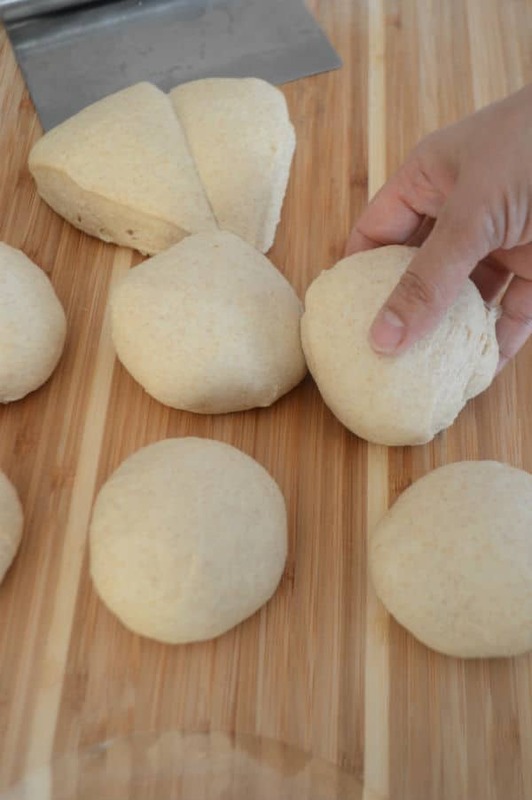 Play with the dough and bit it is very forgiving and it is a lot of fun specially with kids. 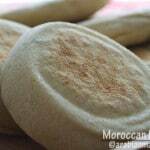 I hope you’ll like kneading,baking and eating this everyday Moroccan bread… See you next time . 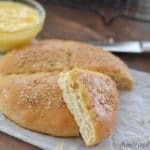 An easy Moroccan bread to accompany everyday tagine. 1 cup whole wheat flour*. 2 drops of white vinegar. 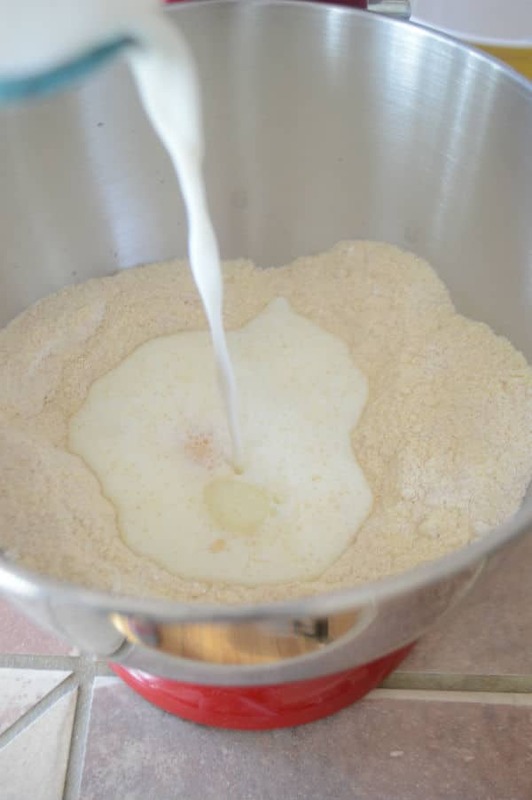 In your mixer bowl add first 6 ingredients and mix them well together. 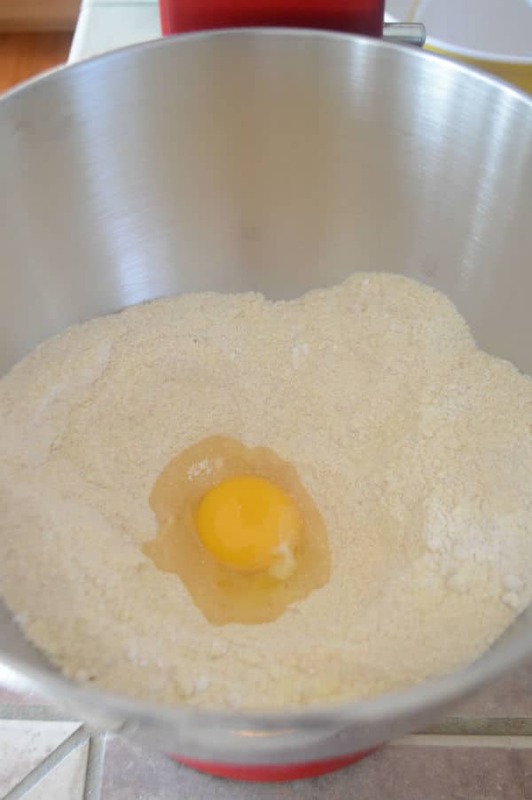 Then add the egg, milk then mix well. Transfers the dough into an oiled bowl, cover and let it rise from 1 to 1 1/2 hours until doubled. Cover and let it rise for another 30 minutes. Brush each circle with the egg mixture, sprinkle some sesame seeds on top and with a sharp knife cut a cross over the top. Bake for 15 minutes or until the bottom browns nicely then turn on the broiler for a minutes for the top to brown. Serve hot with butter or with any Moroccan tagine. 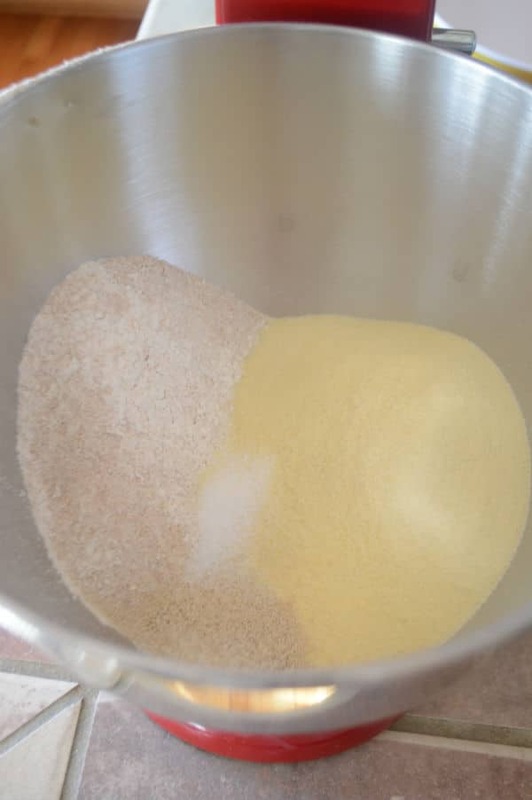 * You can use corn,barley,oat,farina or more AP flour instead as well. ** My dough took 3/4 cup of water and I felt it was enough. *** Roll the dough to the thickness of your liking I like mine thick. 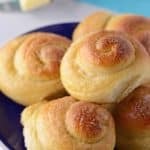 Check more bread recipes here. Ludivine, Yes, I’ve noticed that too. Algeria and Morocco are so close so may be it went from one to the other :). I hope you’ll like it. This sounds good! And great! Easy to make. This is what I làve with your recipes Amira. We can all do them, have fun and enjoy testing delicious food. Be sure I will try! 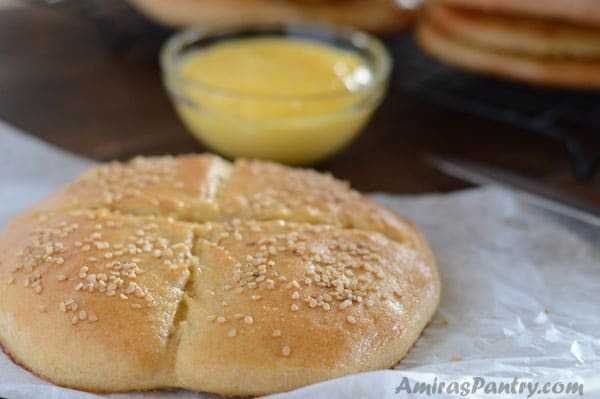 What an interesting bread Amira…as I have never seen it before…thanks for the recipe…very helpful! Never had Khobz and not mamde them obviously, but they look really good. Are they any relation to the large disk sweeter bread I find in my Middle-Eastern store? No idea the name alas. I often cook Moroccan meals but usually just buy a flatbread to serve with it. Thank you for sharing something I can not make.